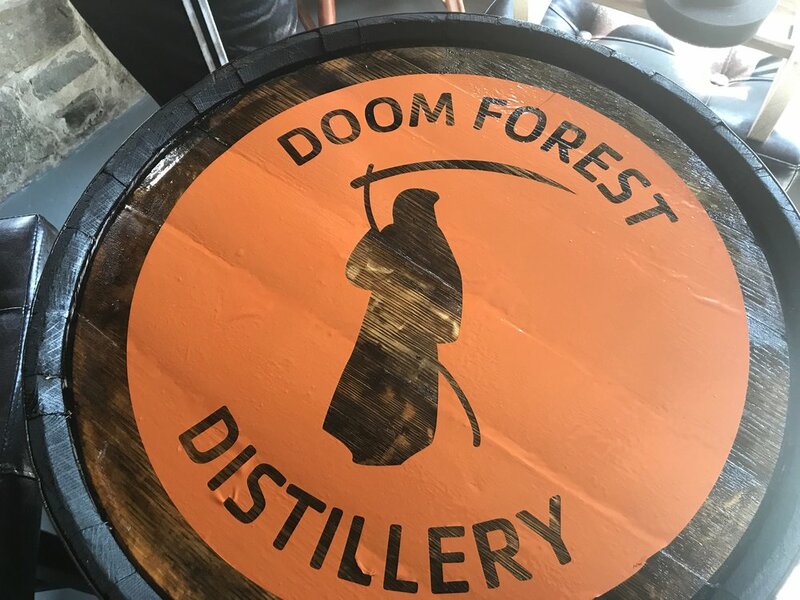 There has been a lot of construction at the Doom Forest Distillery the past few months. We have been working diligently to prepare for the opening of our Tasting Room. Here are are few pictures of the progress. New stools were purchased and the barrel tables were stained by Lynn Chadwick herself. We are so pleased with how the logo turned out. It's a great addition to our barrel tables. The high top table and the bench outside were handmade! A patio was built around the Doom Forest Distillery Tasting Room with beautiful stones. The new storage facility was painted by the Roller Girls! We absolutely love it! Shirts, hats and other accessories will be available for purchase at the Tasting Room.